Premium Memberships - Play With NO ADS! Unfortunately, the reality of this web site is that it requires a lot of server resources to keep things running smoothly. Every time you start a game, load a page or even just submit a word to be checked, you're making a series of calls to both our web server and database server. These amount to literally millions of hits every day. This sort of a web application requires a robust hosting solution, otherwise things would grind to a halt quickly, and that'd be no fun for anyone! 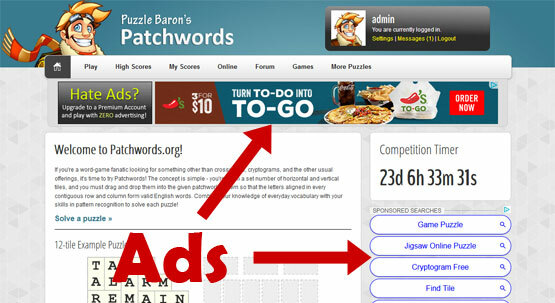 As a result we've had to implement the banner, skyscraper and text advertisements you see peppered through the site. We've strived to keep these ads as "out of the way" as possible so that they won't interfere with game play, but yes, we realize they're distracting and, well, sometimes just plain irritating. A Premium Membership will not change gameplay in any way, nor will it confer extra points, bonus words, or any other benefit in regards to competitive play. You will, however, get that fuzzy, warm feeling in your stomach knowing you're helping to support a site you love to use. Oh, and you'll get a neat little star icon next to your name to let folks know that you're a Premium, contributing member. Folks are more than welcome to play with regular accounts as they always have. 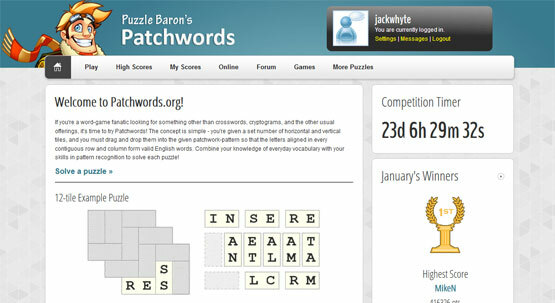 You will never have to pay a cent to play on wordtwist.org. Premium memberships are just an option for users who, for whatever reason, really just don't want to see advertisements while they're playing. We accept Paypal, which will process all major credit cards (you don't need a Paypal account). If you have any questions, just drop us a line at admin@puzzlebaron.com. Thanks for playing! What is the 2nd letter in worm?